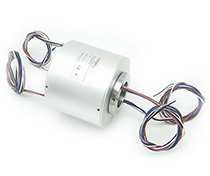 Q: Can you provide high speed and frequnecy slip ring? A: Yes, we can. We invest much money to develop this industry, and now we have high frequency slip ring, fiber optic rotary joint which used to transfer high speed and frequncy data. Q: We want to mix the Ethernet, high frequency signal and power transmission, if it is workable? A: Yes, it is workable, we can cambination signal and power transmission in one slip ring, and can available in multi-channel, so tell us your needs, we can provide a best solution for you. Q: I can not find a suitable product in your website, can you do it as our requirement? A: Yes, if you can't find a suitable product in our product catalog, please no hesitate to contact us, we are pleasure to provide custom solutions. Q: If we want to custom a slip ring, what's parameter do you need? A: Yes, for comunication clear,please tell us: channel or circuits, voltage and current of power or signal, operate speed, work temperature, signal type and parameter, installation requirement, overall size, protection level or other special technical data. Q: When your slip ring mix signal and power, how do you deal with the interference? A: Yes, because the compact structure inside the slip ring, it must be cause interference if the power cable mix with the signal cable, but we have our own anti-interference technology to ensure reliable data transmission. 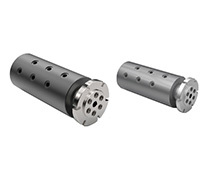 Q: Now we need a connector that can be tansfer signal and power, hydraulic and pneumatic media in the same time,Can you do it? 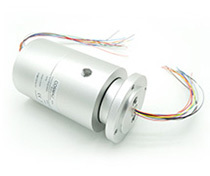 A: Yes, it is workable, we called it as pneumatic hydraulic-electric slip ring. Q: May i order 1 for a trial? A: Yes, we never have moq, and we have outstanding engineer can provide technical support if you want.